← Holey Granite Rocks, Batman! But there is a ray of light…Grab your snow shoes (or cross country skis) and get out to check out the snow shoe trails in the park and around Sumpter. 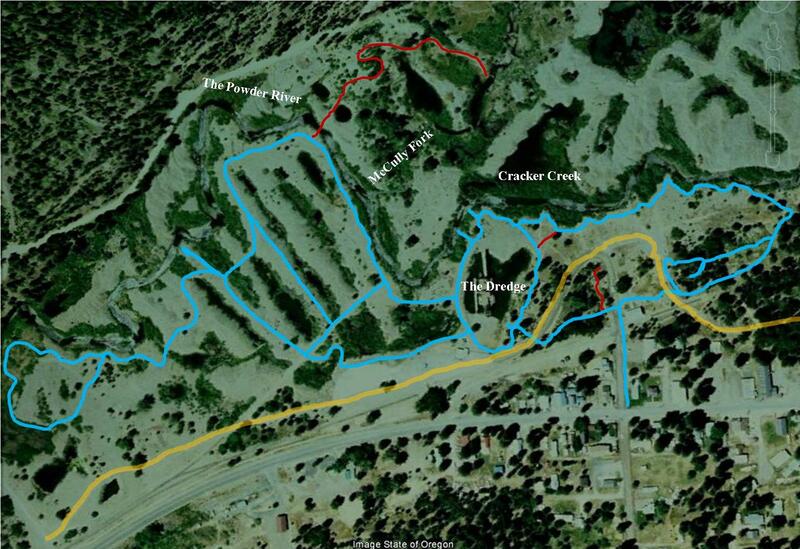 Below is the latest area map outlining the current trails through the park. The blue trail outlines where the current snowshoe trail is. The Red trails are where the actual park trail is, but this area has not been gone through with snowshoes yet. The yellow trail is where the snow mobile trail cuts through. If you’re interested in joining other avid snowshoers, check out the Sumpter snowshoeing web site at http://www.sumpter.org/menu/sumpter_snowshoeing.html for information about upcoming guided hikes and trail conditions. As always, be safe and hope to see you out there. This entry was posted in Snowshoeing, Winter Updates and tagged cross country skis, snow shoe trails, Snow Shoeing, snow shoes. Bookmark the permalink.